It's time for Any Level Lift to double down. You have seen the success of the F-350 single rear wheel systems and wondered how to get one for your dually. You love lifted trucks but you also need the capability to tow your gooseneck and fit in your garage. We've got your solution. Place your pre-order now to reserve your spot in our first production run for the 2017/2018 dual rear wheel F-350 and F-450 trucks. Do it ALL with Any Level Lift. 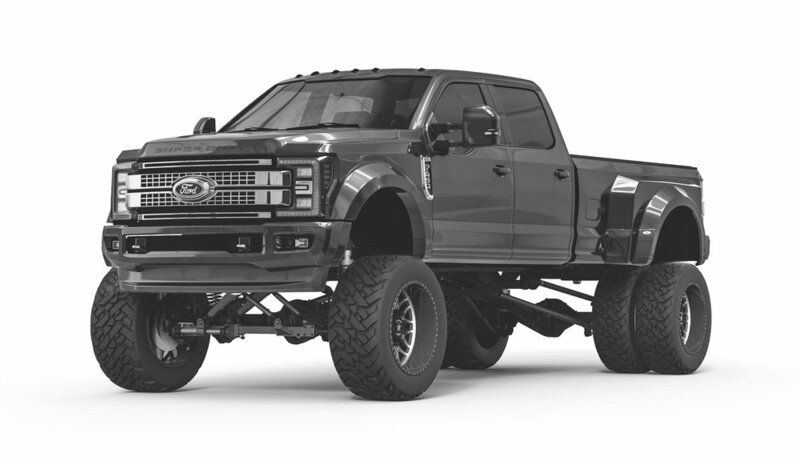 2017-2018 F-350/F-450 DRW Any Level Lift Suspensions pricing will currently follow the SRW pricing found here. Pricing is subject to increase for orders placed following the 6 month pre-order window.